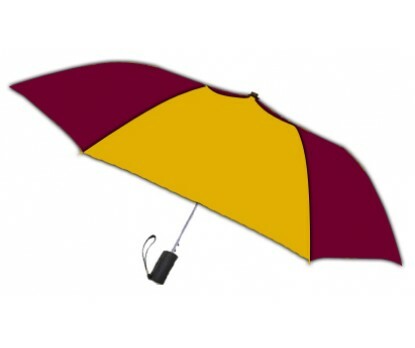 Personalized burgundy & gold 42” arc spectrum automatic folding umbrellas can hold the center court when carried in crowd. This umbrella can be wisely employed or engaged by small budget marketers who are struggling hard to establish their footage in the niche. They can seek it for representations or large scale gifting, whenever suitable occasion arises. Features - push- button automatic function, 42” arc burgundy & gold canopy, round black metal shaft and matte black finish handle. 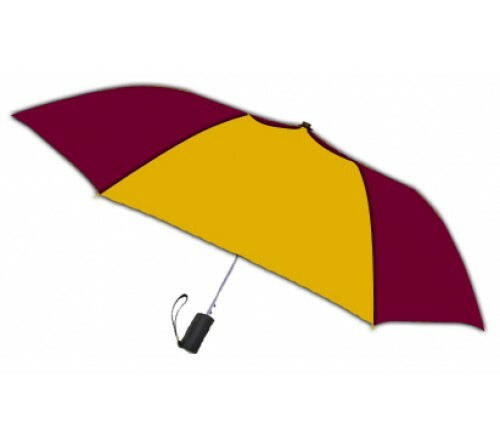 Matching fabric case is offered with umbrella. Imprint area – 6 x6.